We all know that lighting can drastically transform the look and feel of a place. So, when you decide to renovate your home, it can’t be said that you are done until you take some time to replace and improve the lighting. Now, when it comes to living rooms and bedrooms, any existing problem with lighting can be easily solved by introducing floor, desk or bedside lamps. Kitchens, however, are another story. Can you imagine placing a table lamp on your countertop, or right next to the stove? Yikes! 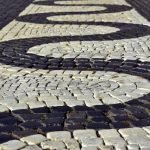 So, if a quick fix is out of the question, what are the alternatives? 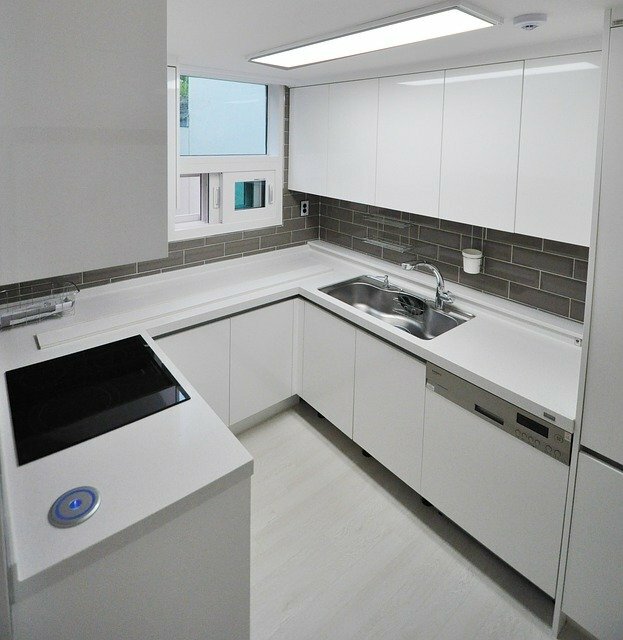 To understand your options, we’ll go over the types of lighting suitable for kitchen illumination. General lighting is, just as its name suggests, used to illuminate the entire room. 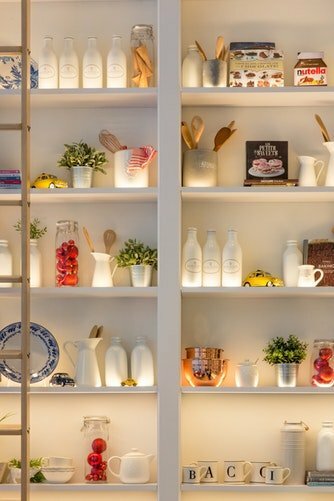 This is what some call “basic” lighting, as you can find general lighting in every room in every house. General lighting serves to light up the space, but as it is not focused on a specific area, it is common for the furniture, or in this case, kitchen elements – to cast shadows around them, so general lighting is not enough to make a kitchen completely functional. Thankfully, there are other types of lighting to complement this general illumination of your kitchen. Becoming popular in the 80s, recessed lights were the primary choice for kitchen illumination for a decade or two. These lights come with a couple of perks. They are not attracting too much attention for one, and thus keep the space looking uncluttered and open. Many people claim that recessed lights are their go-to general lighting choice as they require less frequent cleaning so that you can add that to the list of benefits as well. That is not to say that they come with no limitations. Their main limitation is the fact that it’s not possible to place them just anywhere, as they require for extra space above the ceiling, which can accommodate the housing. So, when installing recessed lights, you have to mind the available open space above the ceiling, as well as the wiring and plumbing. Another limitation is the amount of light that they provide – being “recessed” means that they are fitted in the ceiling, so they are unable to illuminate broad areas of the room. This means that to be able to light your kitchen using recessed lights, you’ll need several of them, and that comes with a cost. As you might have already guessed, surface lights are fixed ON the surface of the ceiling, so the problem of space above the ceiling is not present with surface lights. They light wider areas in general than recessed lights do, although if you choose a fixture that holds one bulb only, you shouldn’t expect a very large area to be illuminated. At this point we have to address the above mentioned “cleanliness” of recessed lights – it’s not that recessed fixtures do not collect any dust, but that the dust is not as visible as in surface lights. Having said that, surface lights are easier to clean, so the dust should not be a problem. Track lighting is another option for general lighting. These fixtures are installed on the ceiling, just like surface lights, but they come with an added benefit: as there are more individual lights installed on the track, they can easily be moved around to illuminate different angles of the room. Task lighting is used to increase the illumination at various parts of the home where one does specific tasks. Take reading a book or cooking as an example. A classic example of task lights in the kitchen is under the cabinet lights. 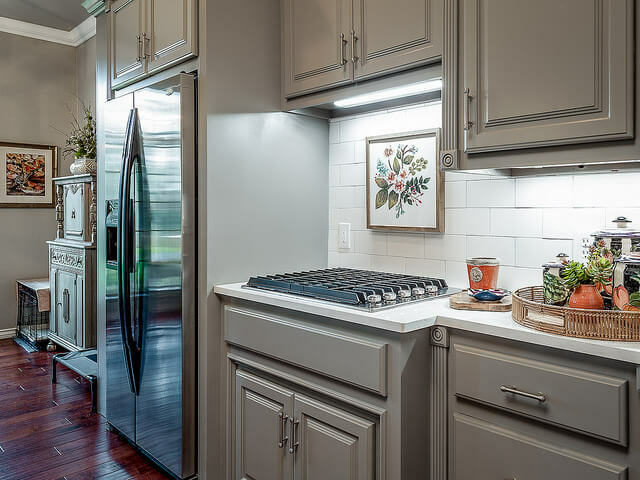 Task lighting is not something that is widely used in most people’s kitchens, and not because they are not affordable to install – but because there are other types of lighting that people find to satisfy their needs just as well. Although some might include pendant lights in the general lighting section, we decided to list them separately, as they can be good for providing general luminance as they can be useful in providing task lighting. These lights are also surface lights, but unlike the basic surface lights that we mentioned before, pendant lights hang from the ceiling. This is their great advantage – they bring the light closer to the object underneath, which is also the reason that they can be great providers of task lighting. If their usefulness and efficiency are not enough for you to decide to incorporate pendant lights in your renovation plan, here’s another reason to take them into consideration: in recent years, manufacturers produce pendant lights in various styles and attractive designs. Unlike the other types of lighting, accent lighting’s main purpose is not illumination itself, but creating a specific atmosphere in the room (think wall strips). Many people do not add accent lights as they consider them as an unnecessary expense. However, by increasing the budget just a little (accent lights are affordable! ), you’ll be able to create a cozy mood, that you’d not be able to recreate in any other way. Last but not least, we have to mention natural lighting as part of the whole “kitchen illumination” package. Natural lighting does what other types cannot do: they open up the space and create a feeling of roominess. If it’s not possible for you to install a large window somewhere in your kitchen, you can consider installing a skylight. 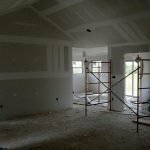 However, note that including window or skylight installments in your renovation plan is only possible if you don’t have a limited budget, as natural light comes at a price. On the other hand, natural lighting illuminates without raising the numbers on your electricity bill and comes with no maintenance costs. To top it off, having windows in your kitchen doesn’t come with letting light in as its only benefit – it also will make it possible for air to circulate in the space. To create a full effect: a kitchen that looks good feels good and is fully functional, it’s best if you combine various types of lights into your (re)design. Nowadays, the choice is huge. 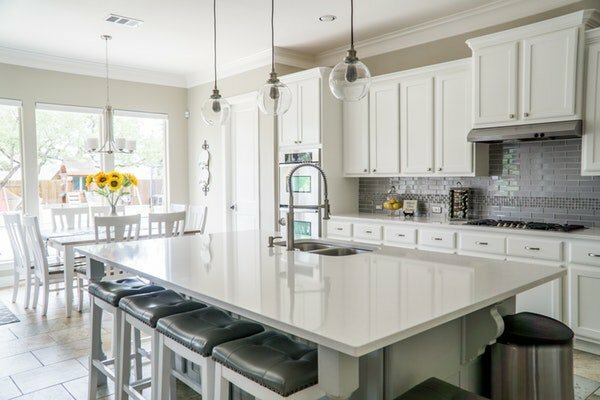 You can find various types of lights in various designs and styles, and most importantly, you can find affordable pieces that’ll keep you on a budget but make your new kitchen look like a million bucks! Lisa Wetherell runs the blog Lighting House - where she writes about her knowledge gained from 10 years of industry experience in the lighting and interior design field. To learn more about how lighting can improve your space, you can follow her blog.